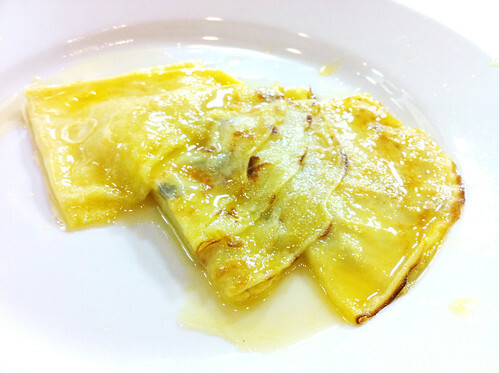 Here are some things that got made in my second cooking class. Bouillabaisse feat. salmon, snapper and mussels. With rouille: roasted red peppers, garlic, potato, cayenne pepper, smoked paprika, salt and pepper and olive oil, all mashed up in a mortar and pestle. 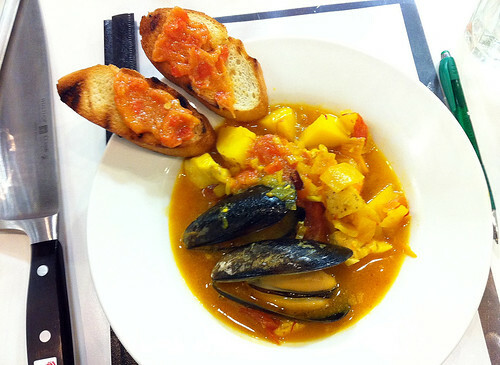 Some of it stirred into the bouillabaisse; some spread on crostinis. 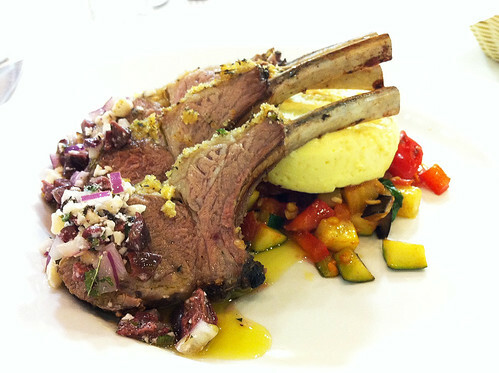 Rack of Lamb Provencale with Feta Vinaigrette and Roasted Garlic Flan on Ratatouille. oh, now I want crepes.